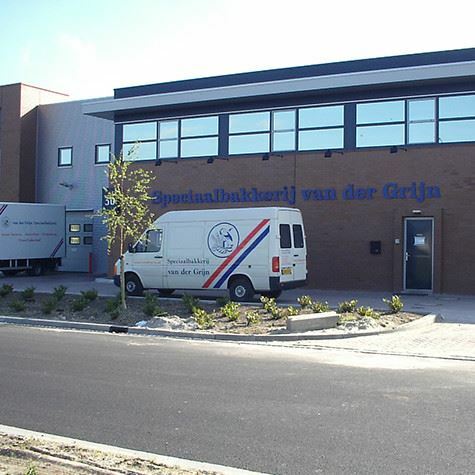 The Metaflex hinged doors are made of high-quality materials and are robustly built. 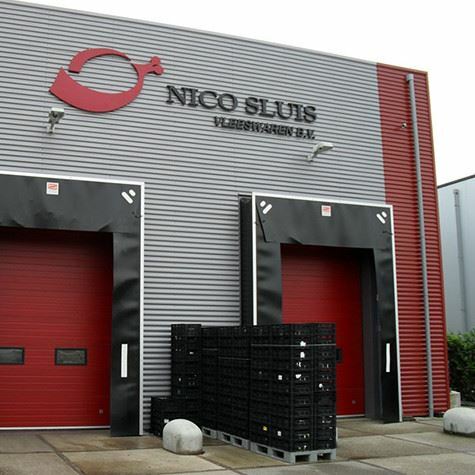 As a result, the hinged doors have a long lifespan and are maintenance-free. 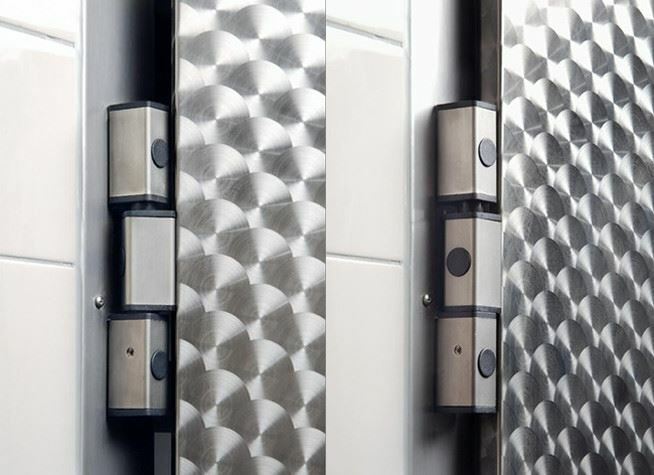 Metaflex hinged doors have a completely smooth surface, making them easy to clean. 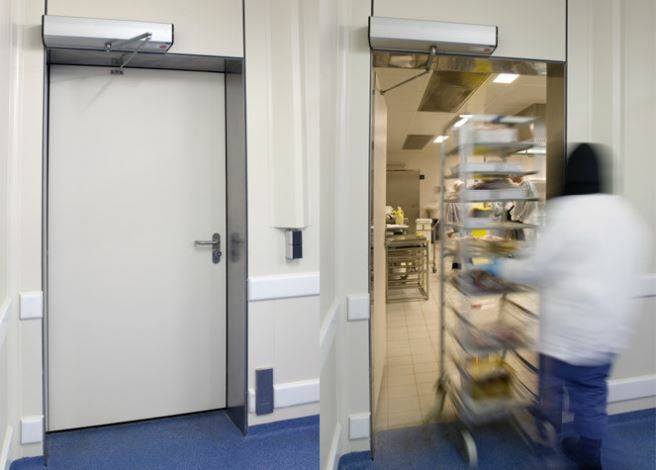 In combination with the food-safe coating, this door fulfils all hygiene regulations and offers optimal ease of use. 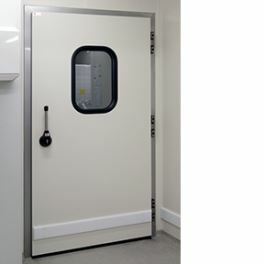 Metaflex offers various hinged doors in its product range or the medical sector, the healthcare sector, clean rooms, laboratories, distribution centres and food-processing areas. The unique closing system of the Metaflex refrigerator and freezer hinged doors create a fully airtight seal. 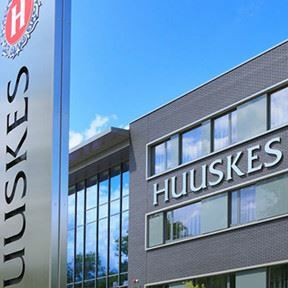 This prevents unwanted air- and moisture flows and is energy-efficient as it reduces leakage. This ensures the room behind the hinged door can be optimally conditioned and is durable in use. 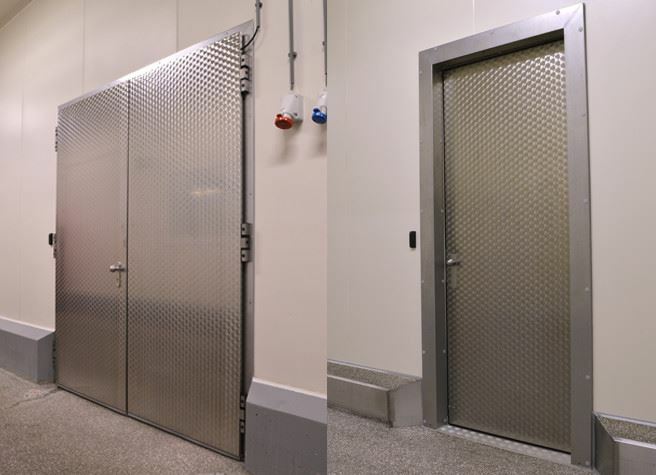 The Metaflex fire-resistant hinged doors are a safe fire-resistant solution for your company. They have been tested in conformity with the NEN-EN 1634-1 standard and offer at least 60 minutes fire-resistance. 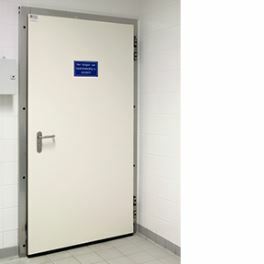 Metaflex offers an extensive range of hinged doors. 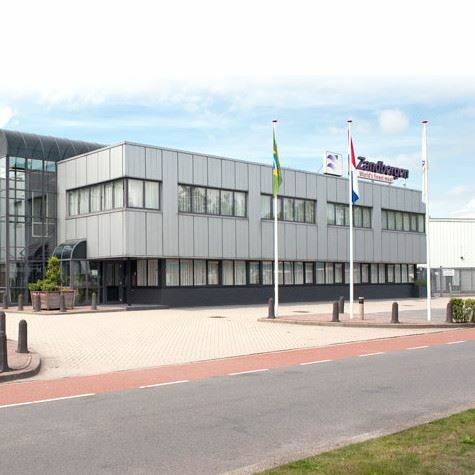 We continuously work on developing new hinged doors. 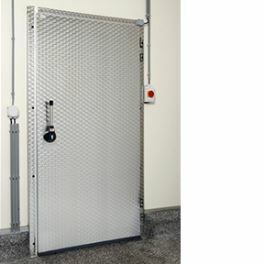 Hinged door for general industrial spaces. 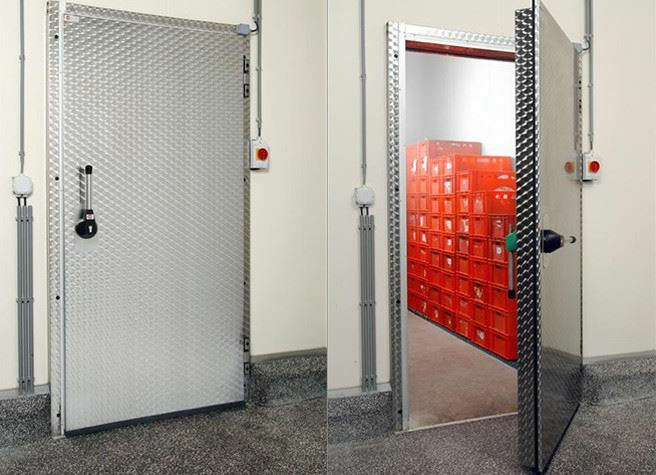 Airtight hinged door for cooled spaces. 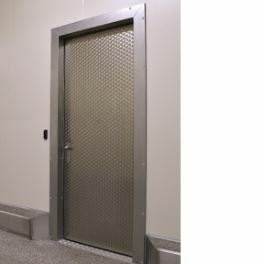 Airtight hinged door for freezer spaces. You can find our hinged doors everywhere!